In 1988 the 911 turned 25 years old and it is now over 50 years old. 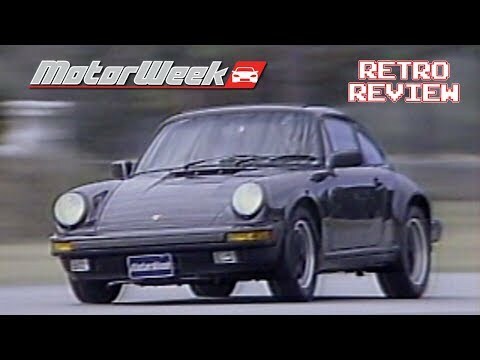 Over that first 25 years the 911 evolved into a better performing car. The 3.2-liter engine is a reliable unit and the G50 transmission was a major leap forward from the 915 that it replaced. The Porsche 928 was quite a change for the German performance car maker. Until the 928 Porsche was known for rear and mid-engined sports cars. 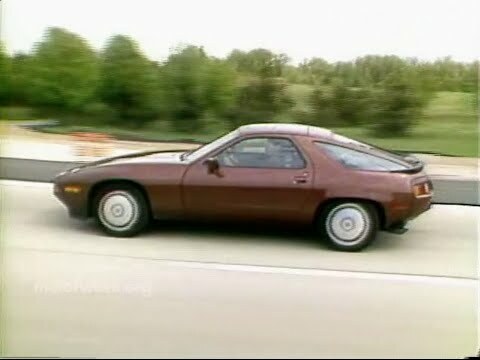 The 928 was the first car designed by the company to have the engine sitting in front of the driver (the 924 went into production first, but work on the 928 design began before the 924). For 1985 Porsche introduced the US 928S with a 5.0-liter V8. The power plant featured four valves per cylinder and offered 288 horsepower, which wasn’t bad in the mid-80’s. 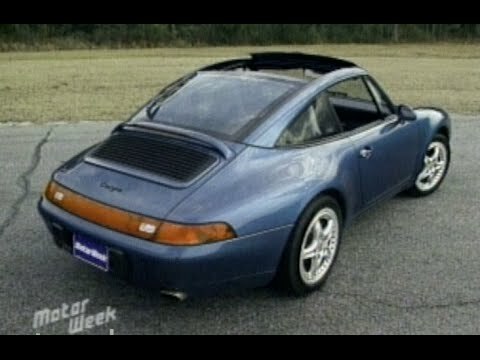 In 1996 MotorWeek got their hands on the then new Porsche 911 (993) Targa. The design of the top no longer involved a removable hard top panel. No, for the 993 Porsche introduced a large glass roof that would move back similar to a very large sun roof. Of course the German performance car maker has since gone back to a Targa design the resembles the earlier cars with the 991 variant (but with a very trick power roof). 993s are very sought after as they are the last 911 generation with an air-cooled flat-six engine. In the case of the 1996 993 Targa a 3.6-liter engine was used that offered 285 horsepower. The result for the open roof car is a rear-engined machine that can launch from 0-60 mph in 5.5 seconds. While today that doesn’t sound all that impressive, in ’96 that was extremely quick. 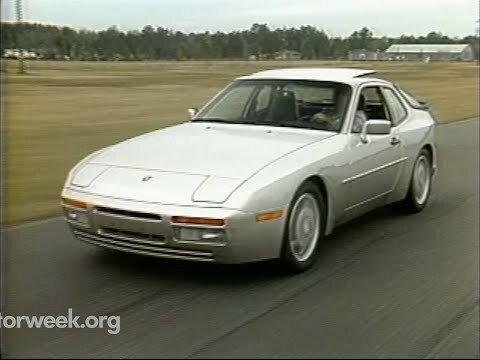 In the late 80’s the Porsche 944 Turbo was one of the fastest and best handling cars that you could purchase. Sure it may have had just a four-cylinder engine, but it could keep up with the 911s, Ferraris and Corvettes of its time. Thanks largely to the 944’s front engine rear transaxle layout the sports car handles like it is on rails. All 944 models are wonderful in the corners, but the Turbo adds a good amount of extra power to the mix.